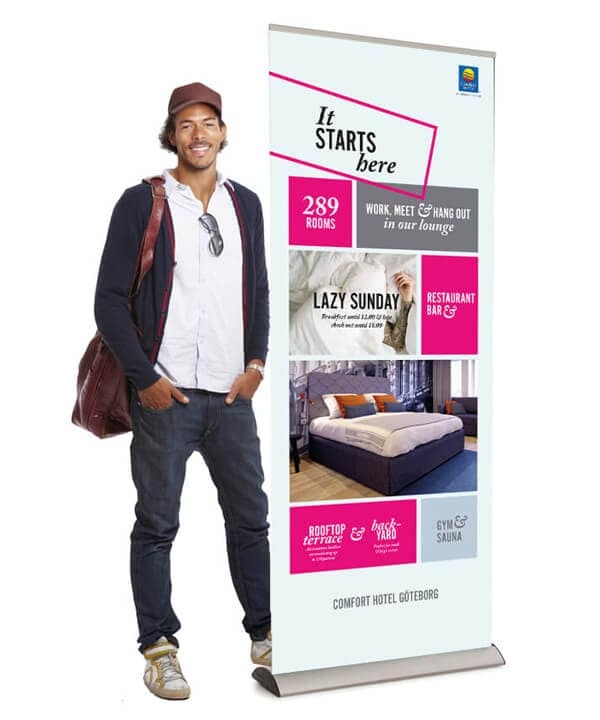 This is the market’s cheapest PopUp in the premium segment from Swedish Spennare, which guarantees truly high quality. 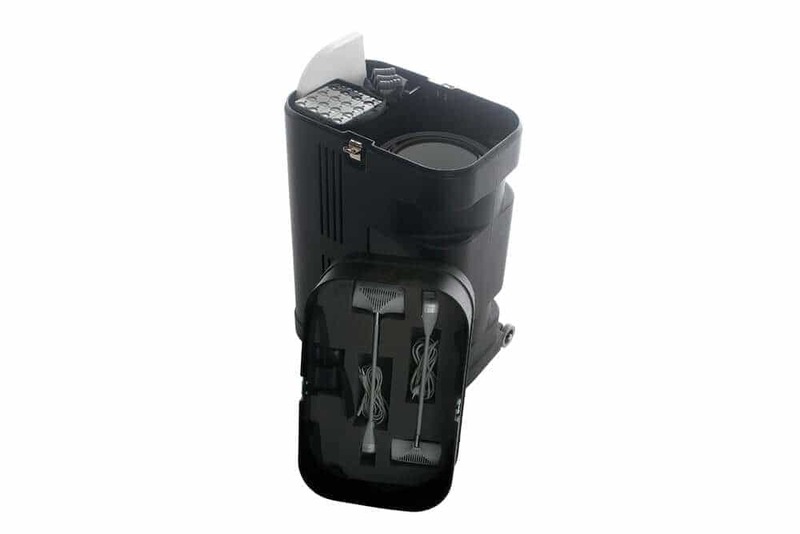 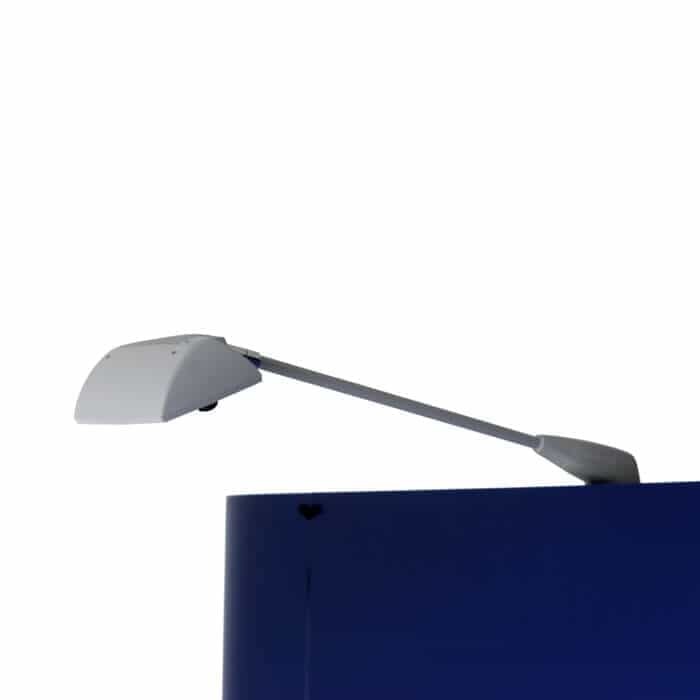 The system is mounted quickly and easily with the supplied display hoods that have a magnetic stripe on the back. 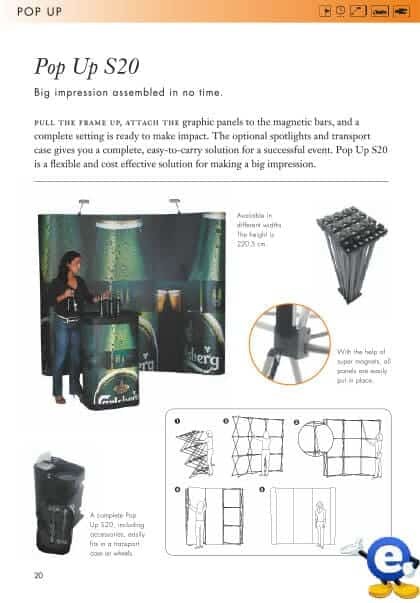 Standard can also be supplemented with lighting and is also available as the PopUp S20 Komplett with a transport box with advertising messages and LED lighting included. 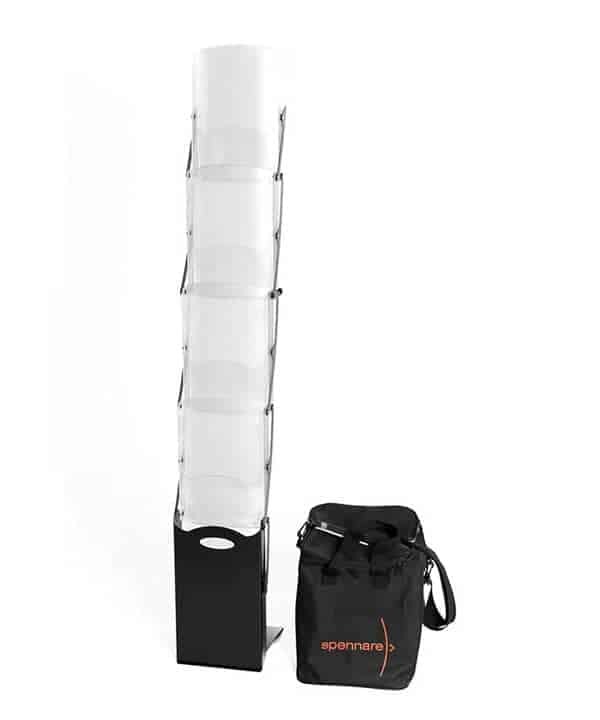 Delivery time on this product is 48 hours plus shipping time. 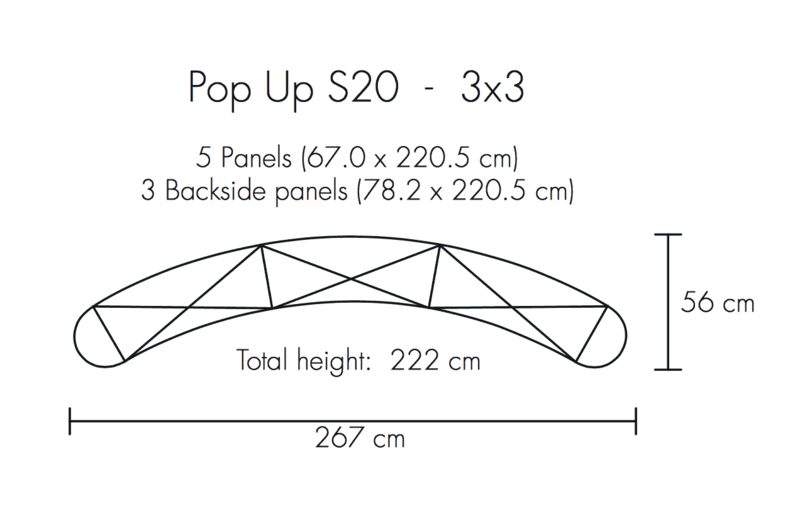 PopUp S20 Standard is probably Sweden’s cheapest PopUp if you look for quality. 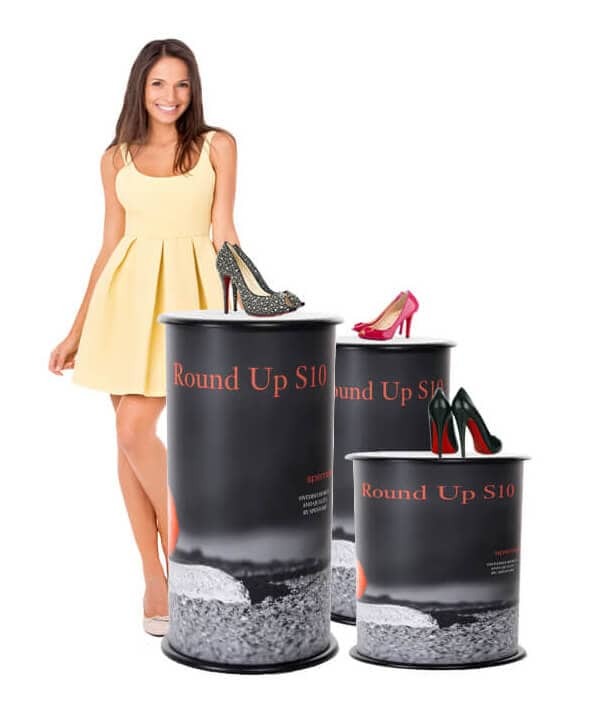 The system comes from Spennare, which is known for its quality products and in this package comes along with the five printed magnets with your message. 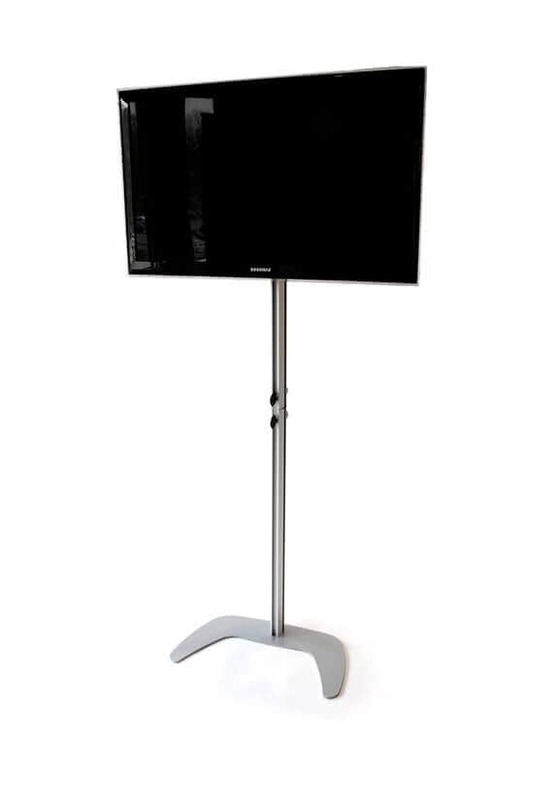 The format of the message should be 336 cm wide and 220.5 cm high, we then divide this into five wetles of 67.2 cm, and you do not need to think about it. 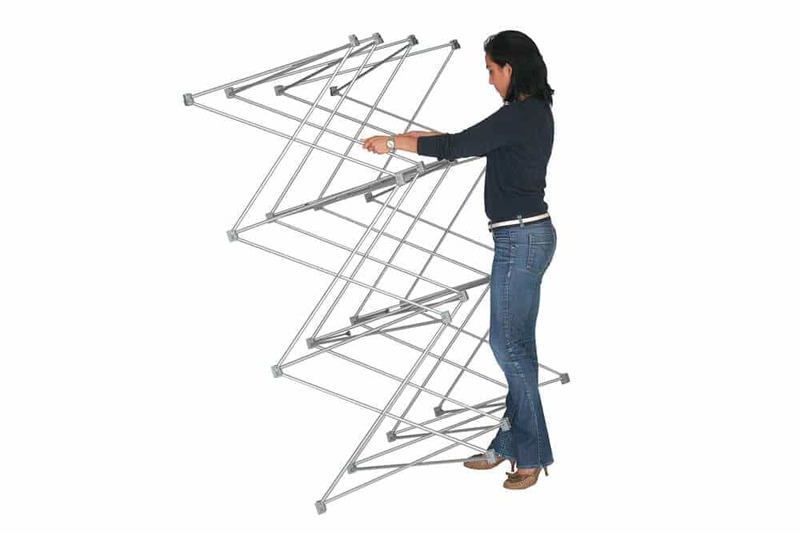 It is important, however, to note that 42 cm on each side is not visible and important when making its original. 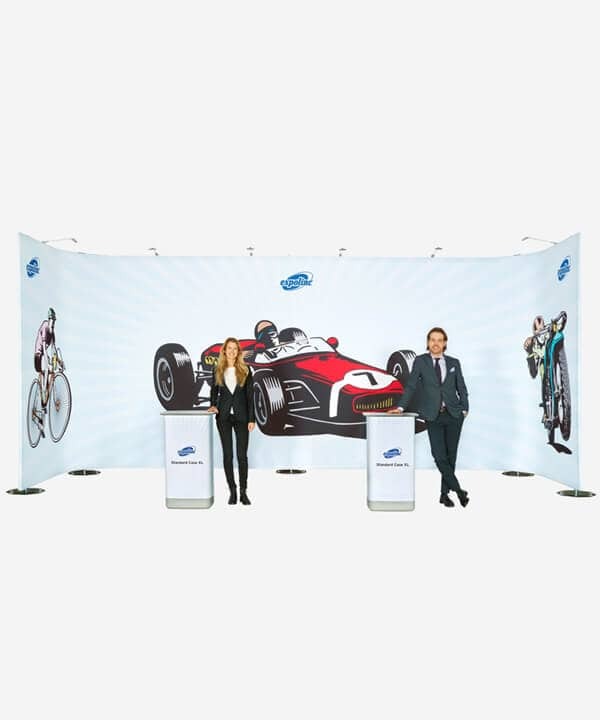 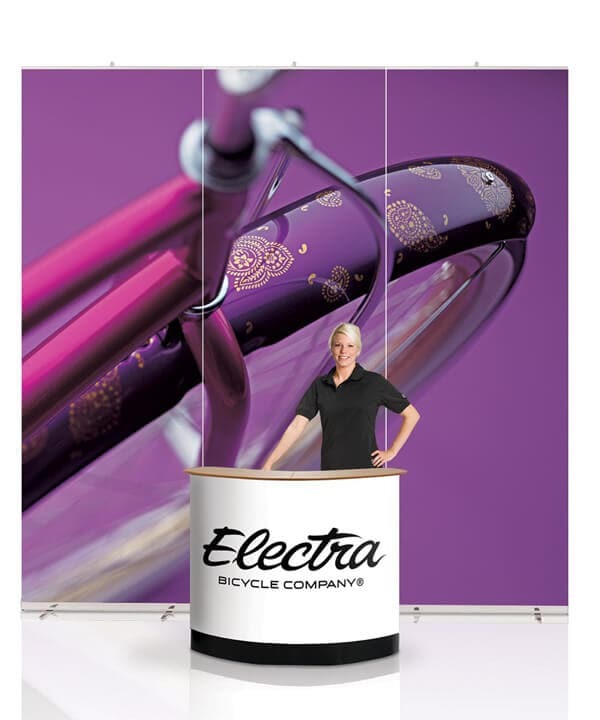 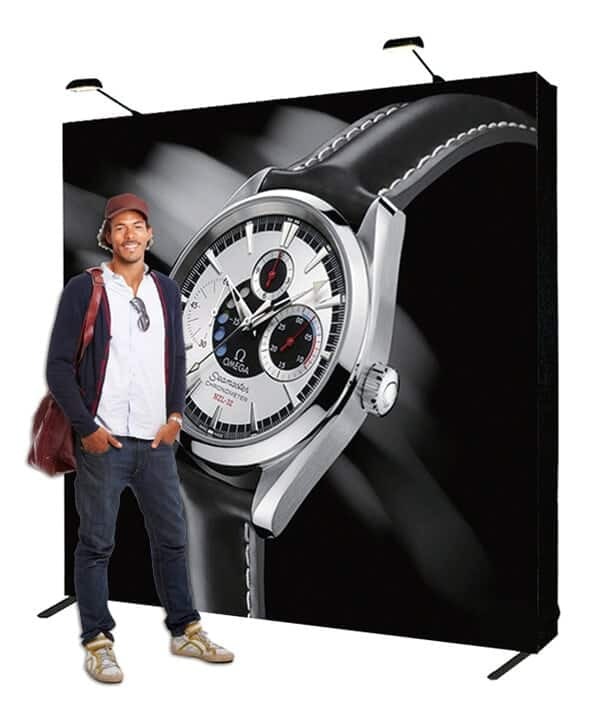 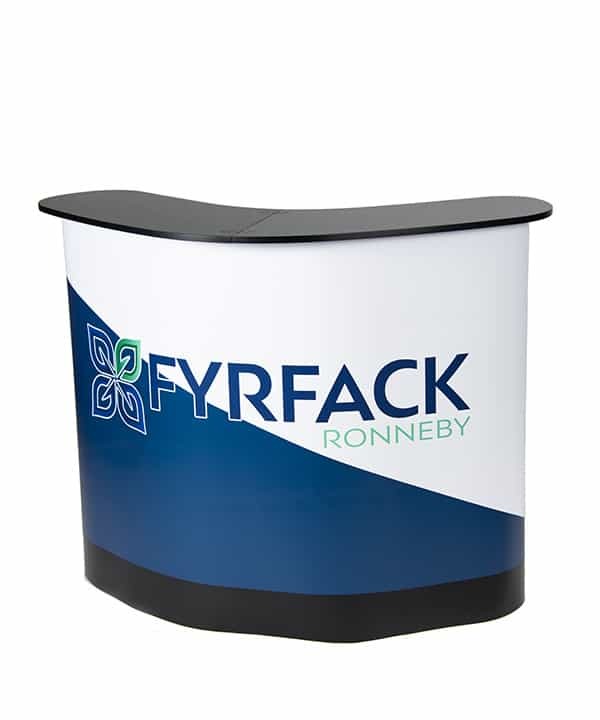 Should you use your exhibition fairs all around at different fairs we recommend choosing the PopUp S20 Complete, since this, in addition to its LED lighting, comes with a transport box that is also a podium with your promotional message on the front and a stylish top. 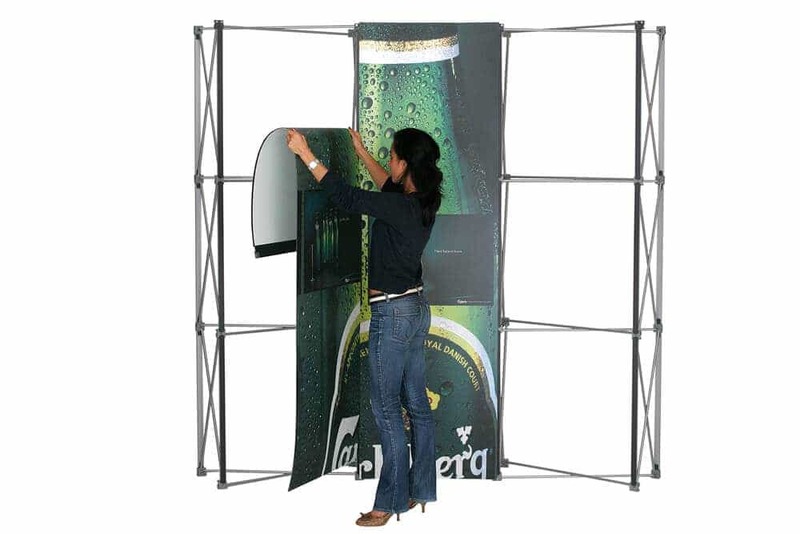 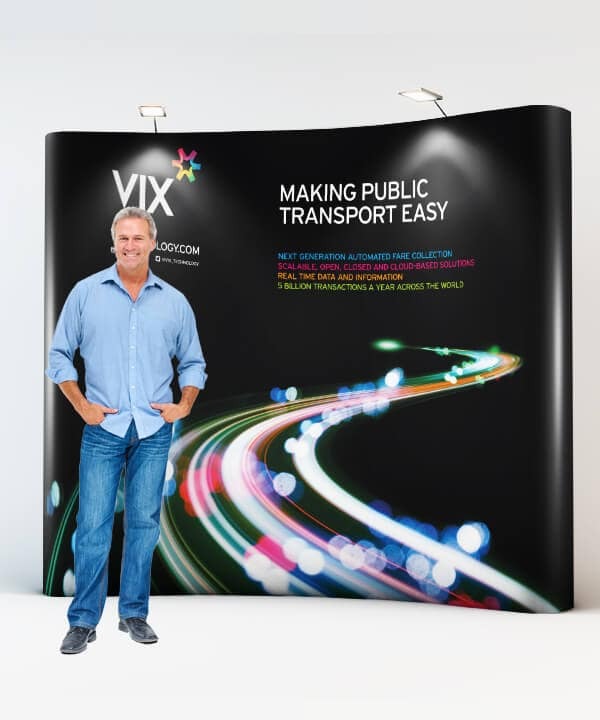 A Pop Up or Mass Wall in Public Speaker is a very good product for those who want to give a little more exclusive impression.